We promote and protect the interests of all our members. Read how. Mutual trust is of foremost importance in the diamond trade. All our members pledge to abide by the rules and regulations of the institution. Compliance to these facilitate trade. Our building contains a purpose-built safe deposit box facility. State of the art security with 24 hour monitoring. Looking for office space in the Antwerp diamond district? The Diamond Bourse is your best choice for finding quick and affordable office solutions! By being a member of an organization held in such high esteem throughout the global diamond trade, you gain a reputation boost for your business. We do all we can to maintain a friendly business atmosphere, whilst at the same time protecting our members in one of the safest buildings of the Antwerp diamond mile. Through a walled area on this website, only available to members, you have direct access to real demand for stones. You gain a distinct advantage for your business. As a member of the Diamond Bourse you have an exclusive right to be part of many events. Be it in our trading hall or elsewhere. Antwerp Diamond Bourse members have access to international bourses directly, for trade or for mediation and/or arbitration. Network and do business with leading diamond dealers, brokers and jewelry manufacturers. bearer good reputation and access to the global diamond community. The right to buy and sell diamonds and jewelry in the trading hall of the Antwerp Diamond Bourse, located in the prestigious and classified building at Pelikaanstraat 78, Antwerp. The possibility to rent an office in the secure Antwerp Diamond Bourse building. The possibility to rent a safe in the secure Bourse safe deposit facility. Easily buy and sell diamonds to Antwerp Diamond Bourse members who are known and respected in the diamond industry. Network with leading diamond dealers, brokers and jewelry manufacturers. In case of a business dispute with another member, the right and obligation to have the matter resolved quickly and cost-effectively through the 4 Antwerp Diamond Bourses mediation and arbitration system. Access to information about suspension, expulsion and other disciplinary sanctions, and warnings about activities of diamond traders or others that might represent a threat. Automatic affiliation to the World Federation of Diamond Bourses, with rights to enter any of the 31 bourses worldwide. Antwerp diamond banks increasingly request their corporate diamond account holders to be a member of an Antwerp Diamond Bourse. Complimentary seminars and trade educational classes. Opportunity to join in the Bourse in Antwerp-based trade fairs. Opportunity to join in Bourse international trade fairs. Use of the trading hall print, copy and scan facilities with help of qualified staff. Use of trading floor computers for the member’s own use. Free Wifi and use of postal service. Option to receive mail at the Antwerp Diamond Bourse mailing address. Access to the Bourse’s IdexOnline account. Diamond scales and official weighing services. Use of a Sarin diamond machine with help of qualified staff. Use of the GIA DiamondCheck machine with help of qualified staff. Access to the Antwerp Diamond Bourse restaurant. Access to the reading room where you can find a large selection of national and international newspapers. Use of the M-Screen synthetic and CVD testing machine. 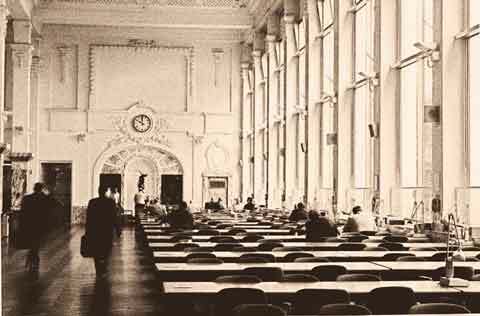 The right to attend general meetings of the Antwerp Diamond Bourse. The right to vote at elections and general meetings of the Antwerp Diamond Bourse. The right to stand for elections of the Board of Directors of the Antwerp Diamond Bourse. Founded on June 7th 1904, by Antwerp diamond merchants keen to move their diamond dealing activities from café ‘Petit Duc’ in the Pelikaanstraat to a more secure and organized place of business, the Antwerp Diamond Bourse has contributed its rich 110 year chapter to the 550 year glittering history of diamonds in the city. Situated in a listed building spanning a block stretching from the Pelikaanstraat to the Hovenierstraat, the Bourse is host to a magnificent trading hall, a testimony to the centuries of Antwerp’s trade in rough and polished diamonds leading and contributing to the international diamond trade. Antwerp’s diamond trade has for 550 years mirrored the movements of commerce, traders and diamonds from India, Africa, Russia, Canada, and Australia whilst reflecting developments in cutting, polishing and trade. Antwerp’s diamond heritage and expertise is also intertwined with the histories of the diamond trade of India, Israel, USA, Russia, South Africa, and Botswana. From 1464 until today, diamonds have etched their history in the economic ebbs and flows of the city of Antwerp. After the devastation of World War II, De Beers was looking to Antwerp to re-launch the diamond trade. The Belgian government reached out to the Antwerp Diamond Bourse members to bring back Antwerp expert polishers who had fled the Nazis to South America and New York. The smooth functioning of the Antwerp diamond market is enabled by a multi-level dispute resolution system managed by the Board of Directors in conjunction with the Federation of Belgian Diamond Bourses, according to its rules and regulations. These form part of the broader dispute resolution procedures under the umbrella of the Federation of Belgian Diamond Bourses. 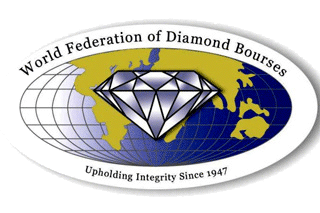 In case of international disputes or differences the by-laws and Inner Rules of the World Federation of Diamond Bourses apply. Dispute cases brought to the secretariat of the Antwerp Diamond Bourse are heard weekly by different Directors of the Board acting as mediators. Using their experience as diamantaires and their commercial acumen, these mediators attempt to resolve differences to the satisfaction of both parties. If the mediation attempt is unsuccessful, the parties are given leave to proceed to arbitration, a fully-fledged legal process. Arbitration takes place under the authority of the Federation of Belgian Diamond Bourses. In both cases, mediation and arbitration, the process managed by diamond professionals, tends to be faster and cost-effective compared to the litigation in court, thereby rendering a valuable service to the diamond market. The Antwerp Diamond Bourse is a member of the World Federation of Diamond Bourses. The object of this organization is to protect the interests of affiliated bourses and their individual members, and to further the amicable settlement or arbitration of differences and disputes between the individual members of the affiliated bourses and between the affiliated bourses. Members of the Bourses affiliated to the World Federation of Diamond Bourses pledge themselves to uphold the traditions, principles of mutual trust, consideration and friendship which prevail among the members of the Bourses world-wide. They pledge themselves to abide by and hand down these principles and to ensure that they will serve as a basis in business relations between members of affiliated Bourses.